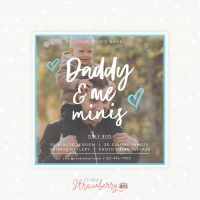 Strawberry Kit is a subscription-based library of digital marketing materials for photographers. We provide you with beautiful templates that leave a professional impression on your clients, while you save time and money. 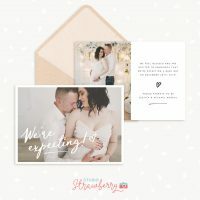 No need to spend hours browsing templates from all over the web and going over budget; one monthly fee of $19 will get you access to over $1000+ worth of beautiful marketing materials to promote your photography with. Cancel any time! Download any template from our ever expanding library the moment you need it. 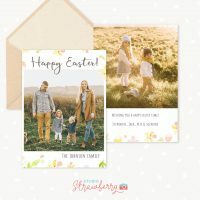 Never miss a trend with our monthly added kits full of timely and seasonal marketing materials. Save the money you would spend on buying separate templates from all over the web. Get access to our private Facebook group in which you can submit ideas and suggestions for new additions. Our templates are diverse but always keep a cohesive look so you’ll easily build a brand your audience can recognize. 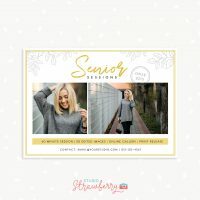 Get marketing tips and Photoshop tutorials along with your templates to grow your photography business. All the templates in our site are PSD files that can be edited with Photoshop and Photoshop Elements. Please ensure you have one of these programs installed on your computer (PC or Mac) before downloading. Should I be a Photoshop expert to use these templates? No. 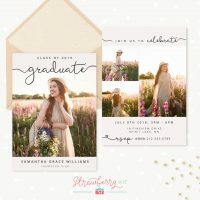 While a fundamental understanding of Photoshop is recommended, all our templates are intuitively designed to be used by absolute beginners and intermediates alike. Video tutorials on how to use the templates are also provided to those who need step by step guidance. Can I cancel my subscription whenever I like? Yes, canceling your subscription is very easy and can be done any time. You can simply switch off your subscription from within your personal dashboard on the website or shoot us a message. 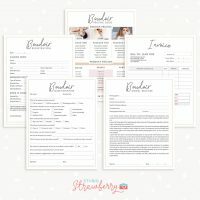 All the templates in Strawberry Kit are personally designed by its founder, Debbie, and are all unique. You won’t find them elsewhere! 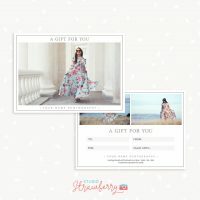 Furthermore, you can personally talk to Debbie in the members Facebook group and discuss your ideas for new templates with her to get something tailored to your needs.